I have been so badly behaved with my eating recently but today I was really good :-). I came home from Birmingham last night and was too tired to post but here are a couple of pics I would have included. 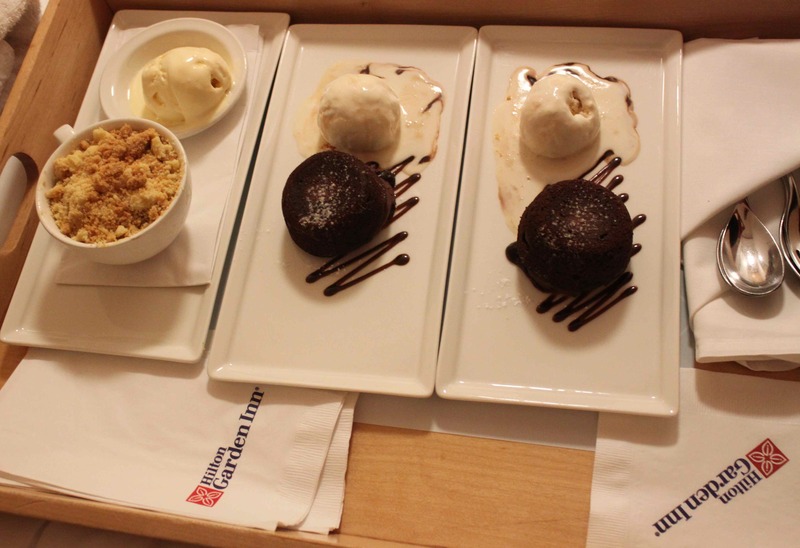 and ordered room service while we watched a movie which we all thought was a real treat. Lara and I had a chocolate fondant pudding with honeycomb ice-cream – plate lickingly delicious. The next morning I decided to go to work later than usual so I could have breakfast with the kids and treated myself to a waffle. 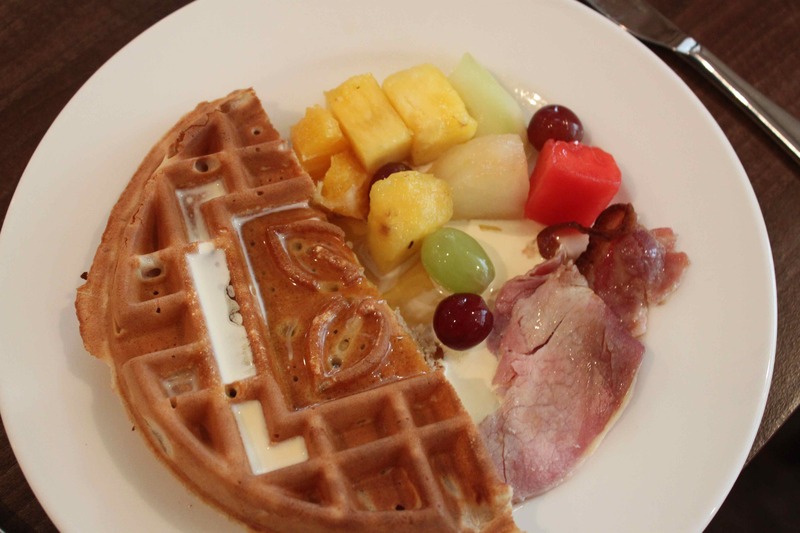 The hotel has a waffle maker and a large jug of batter and it took 3 minutes to cook. It was so huge I shared it with Lara. I had mine with cream, honey, fruit and bacon. It was wonderful. 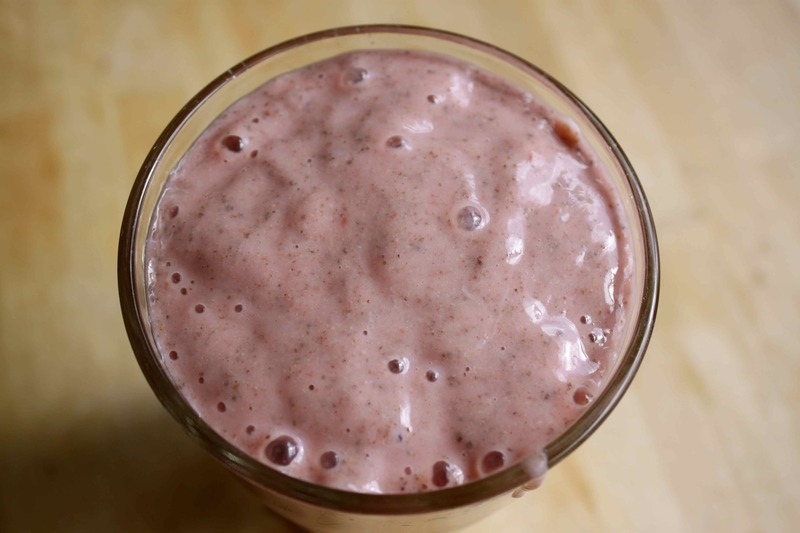 which I made in to a smoothie with a banana, 1 tbsp chia seeds and 2 tbsp natural yogurt. Nothing else so it was really thick as I didn’t add any liquid. I stopped at a supermarket in a service station on the way home last night and bought some courgettes (why didn’t I grow any this year?). So I had them, plus a corn cob and some very old Camembert which I retrieved from the fridge. 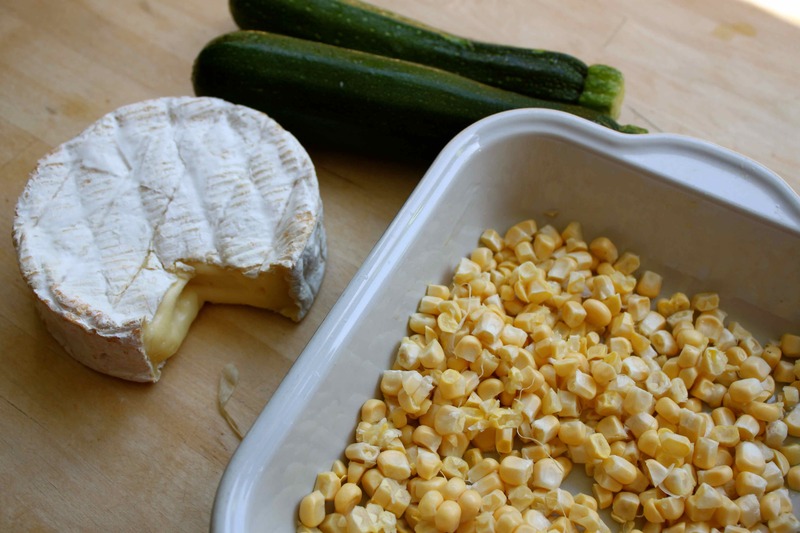 Corn kernels scrapped from the cob taste so much better than tinned or frozen alternatives and I have discovered the knack of removing them so they don’t ping all over the kitchen. 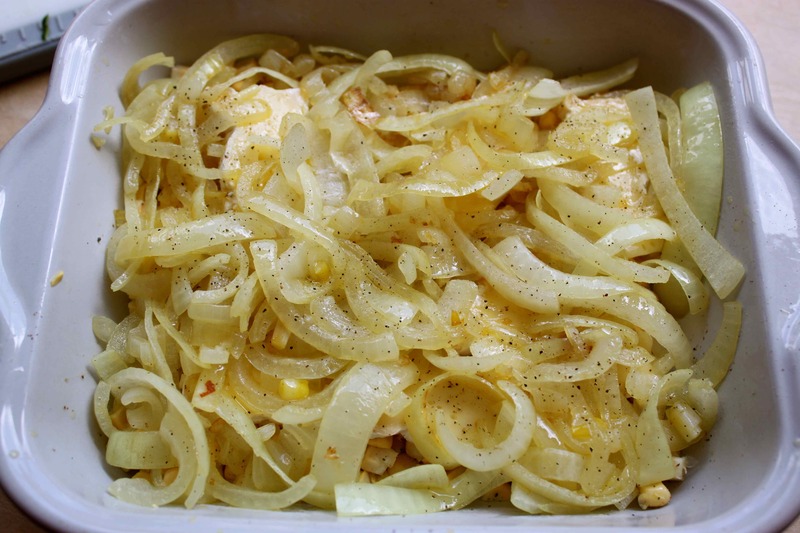 You hold the cob over a shallow dish so the cob is standing up and use a very small and very sharp knife and do it slowly. Simples. 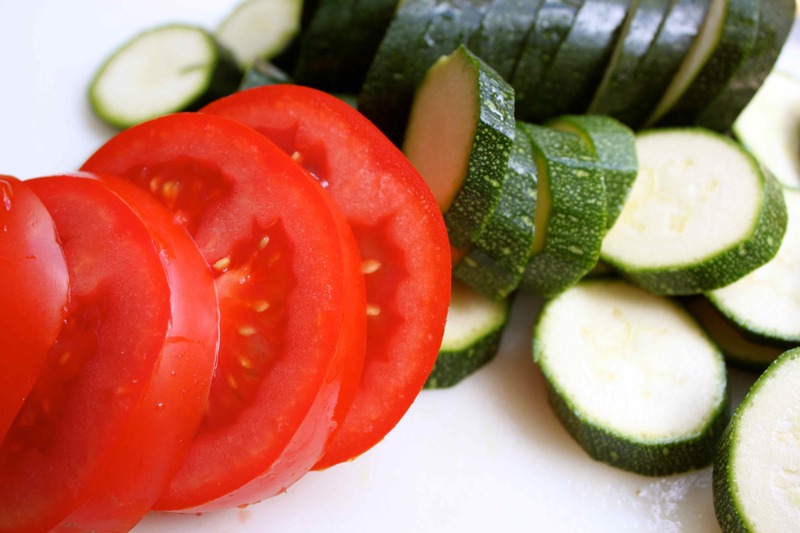 What did I make with that and a large juicy tomato? 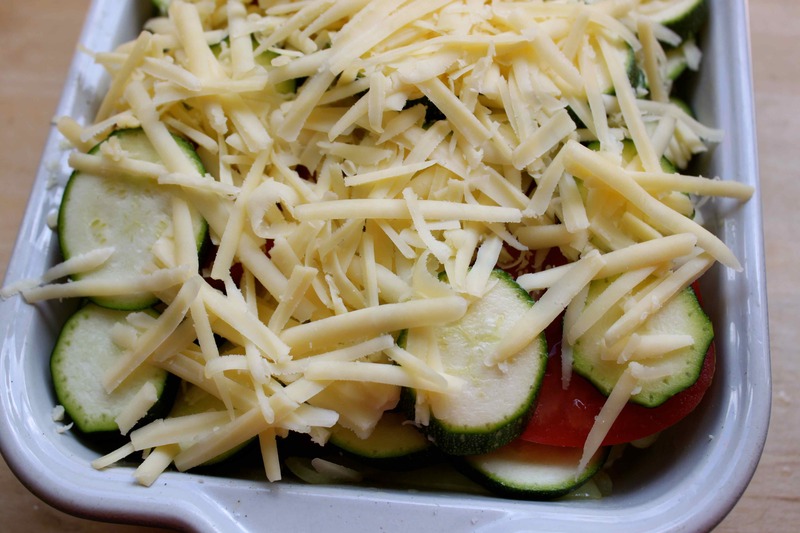 Add the courgette and tomato and top with grated Cheddar. I didn’t add much as I had the Camembert inside. Set aside and wait for 15 minutes before eating it. It makes a difference if you can bear to wait before eating it. 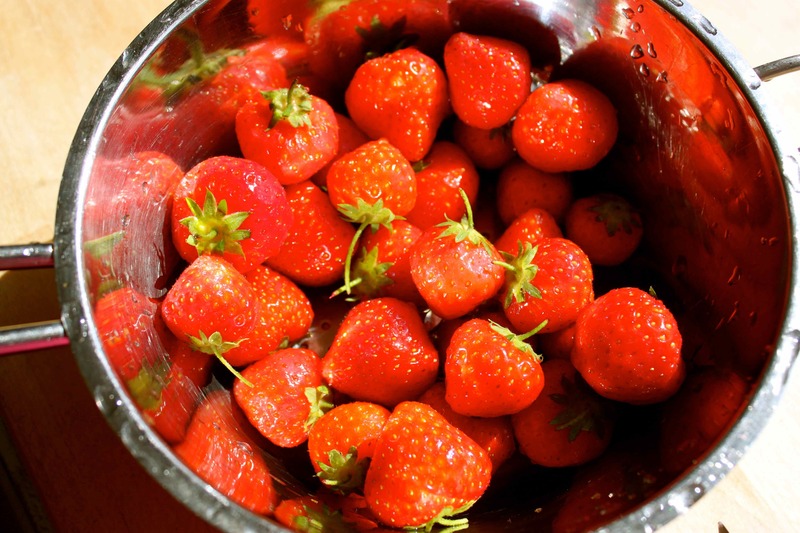 It helps absorb some of the water and the flavours are more intense when the temperature cools slightly. This was amazing. 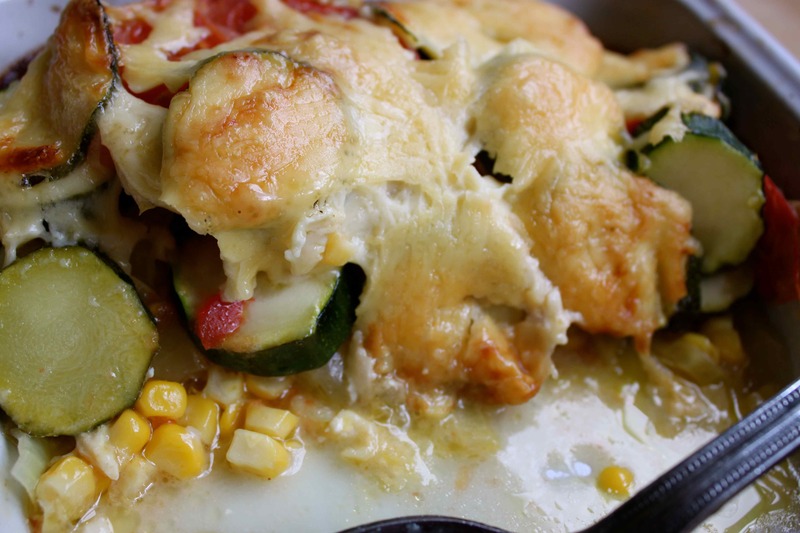 It was so delicious and because it had cheese in it, it was very satisfying. So I had half at lunch time and the rest late afternoon. I have had nothing else since except a glass of water as I feel completely sated. 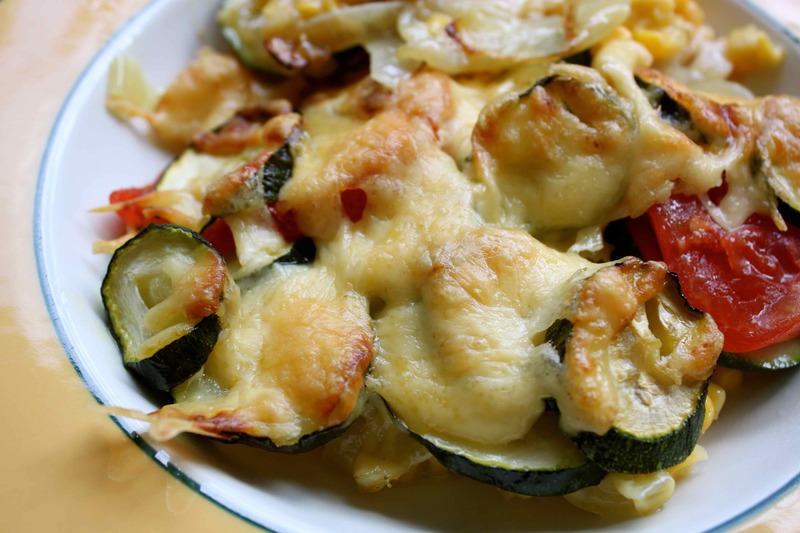 This was very easy and if you have a glut of courgettes, this is an excellent way to use some up. I could make that again tomorrow. 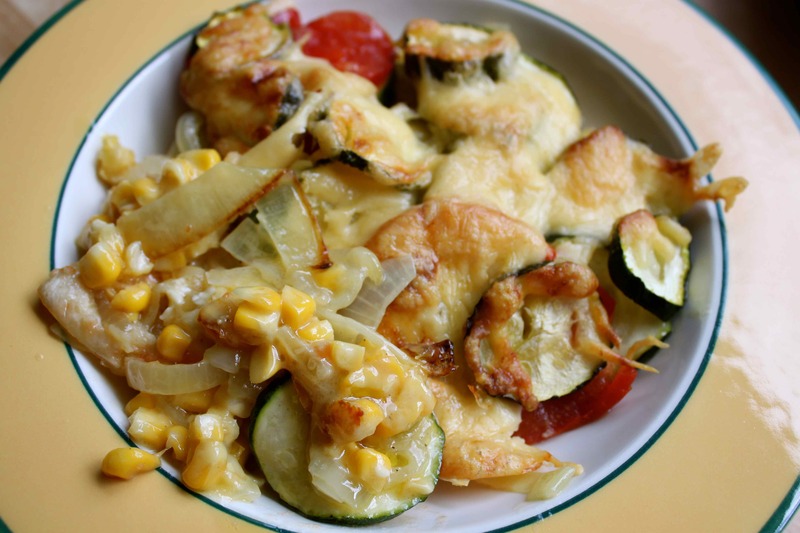 This entry was posted in Recipe and tagged Cheese, Courgettes, Strawberries, Sweetcorn, Tomatoes. Bookmark the permalink. I love the colour of the rainbows you ate today. Your supper sounds delicious. 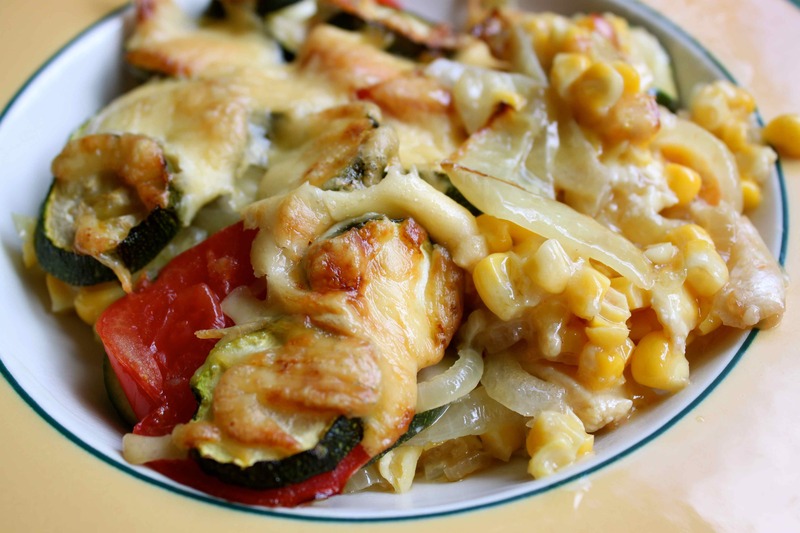 I will be keeping this recipe for when the over abundance of zucchini (courgettes) come with the cucumbers and tomatoes soon. Your Camembert looks like what we call Brie and I just happen to have some of that sitting in my fridge too! Not to mention when the temperatures cool enough to cook anything in the house for over 15 minutes be it stove top or oven.